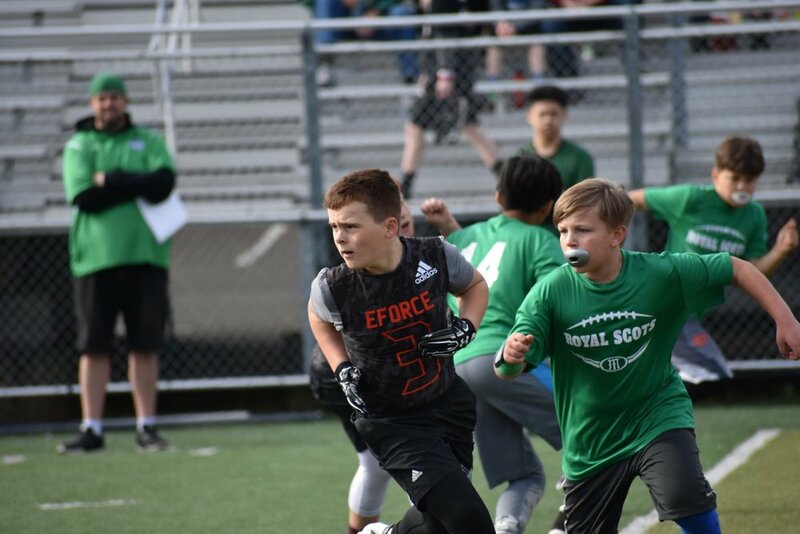 The 5th/6th Grade 7v7 season is broken up into two separate parts: Training Camp and Tournament Season. 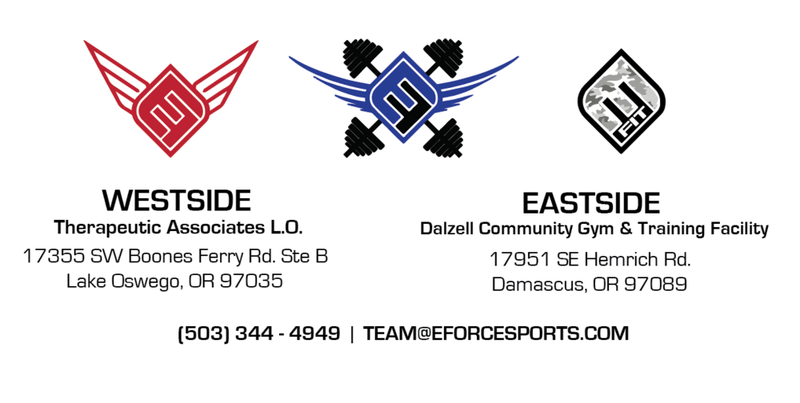 Our goal is to provide a flexible schedule for athletes who play multiple sports. Please see below for more info. Training Camp focuses on (LTAD) Long Term Athlete Development. 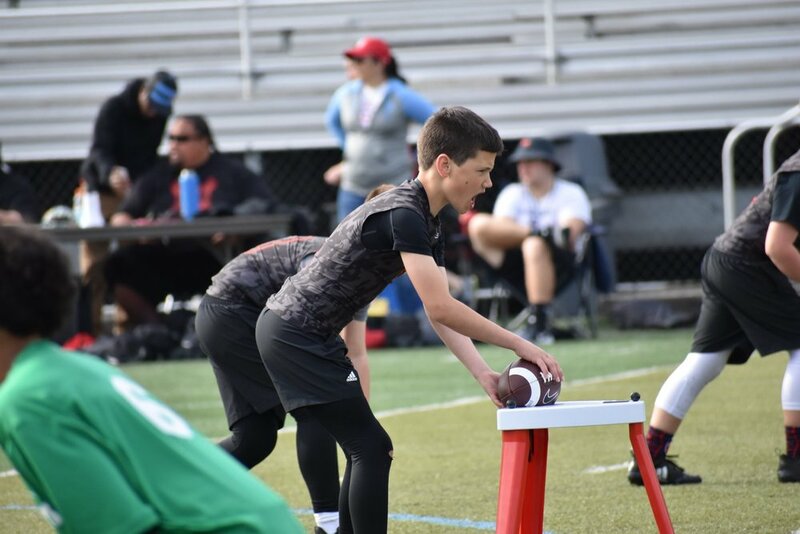 Lead by former NFL and collegiate standouts, our football training camps are ideal for all abilities and skill levels and provide goal-oriented, position-specific training, and physical and mental conditioning. 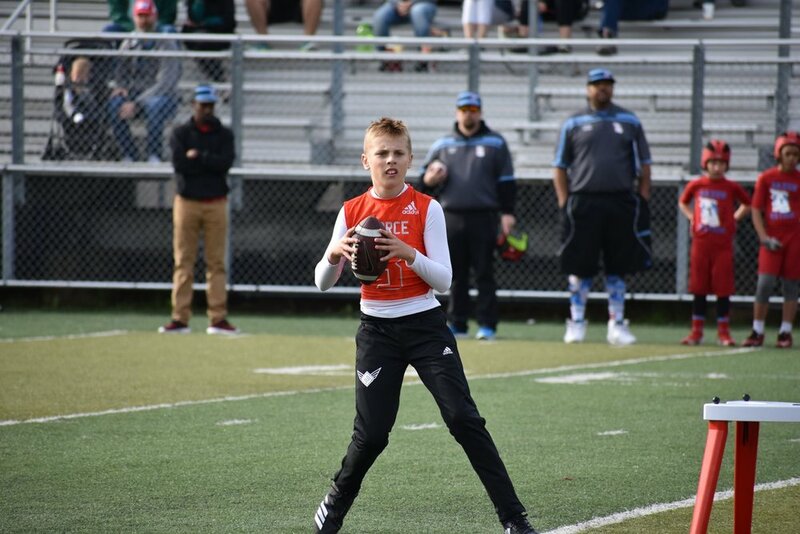 Week 1-3 (Skill development) QB: Throwing Mechanics; 3 and 5 step drops. 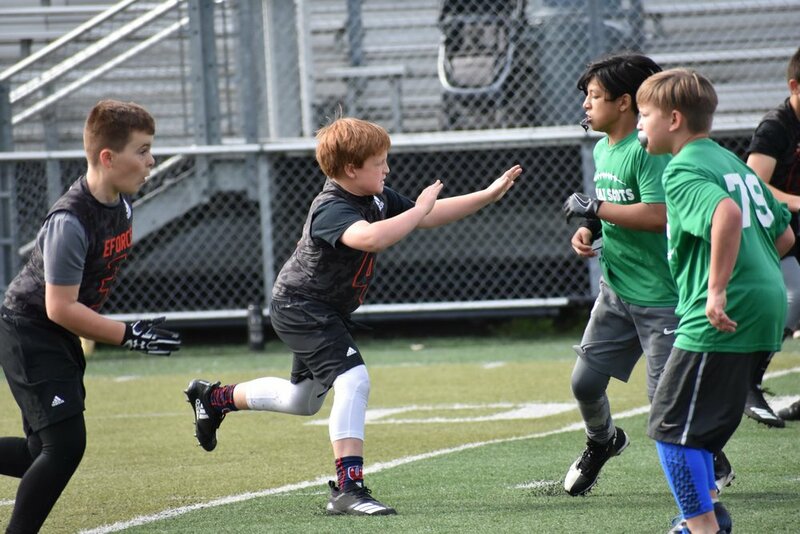 RB/WR: Footwork; agility; ball catching and route running. DB/LB: Alignment; coverage and footwork. Week 4-5 (Pre-competition) Position-specific refinement of mechanics and footwork, and understanding critical fundamental aspects. Week 6-7 (Competition): QB: Half-field routes and reads; 1-on-1 drills RB/WR: Post-snap adjustments; 1-on-1s vs. DB/LB: Pattern reads, press and off technique; 1-on-1s. Each training camp session will have a Performance segment incorporated. PERFORMANCE TRAINING is created for athletes learning to train. It gives the athlete an introduction to traditional sprint, jump, and weight training (body weight) through personalized programs and progressions based on age, and ability. Tryout Dates/Locations: Athletes may attend any/all tryouts. 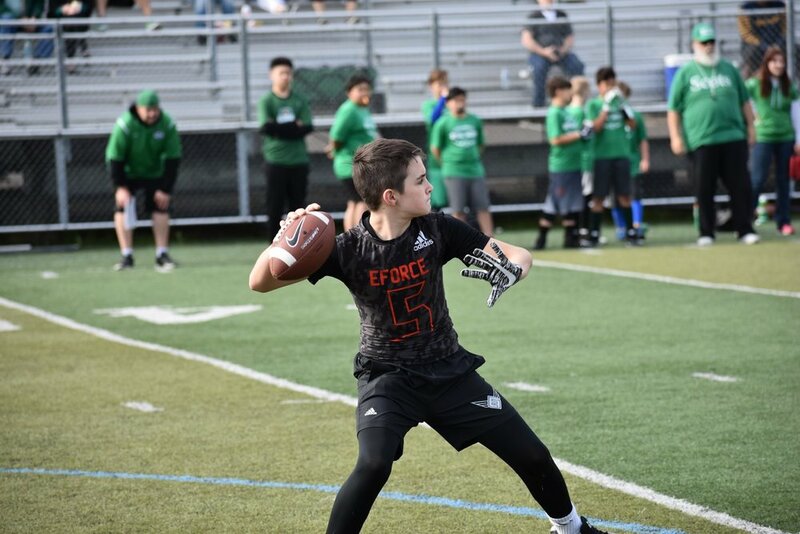 EForce Football - Please tag yourself! 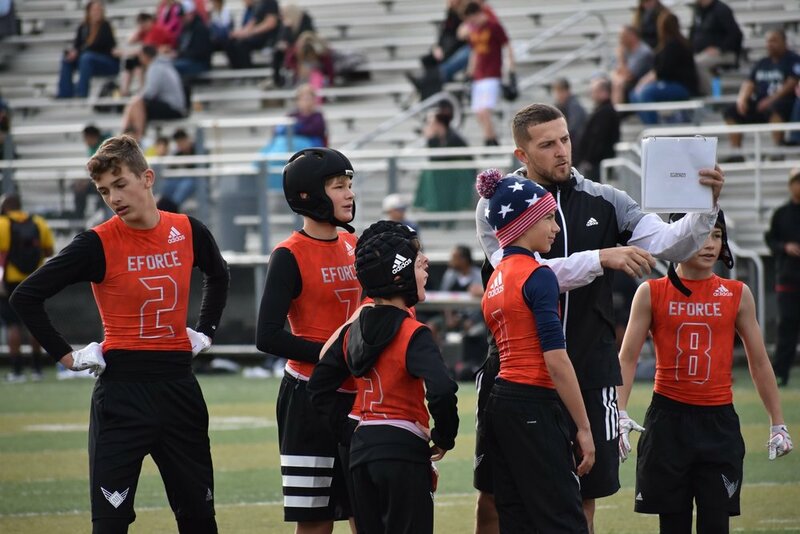 Once confirmed, you will receive additional information regarding practice schedules and 7v7 season logistics.